You are here: Home / News / Maison Marasil is now Open ! Maison Marasil retail network is launching a brand new store in the Malta, continuing, that way, its growth plans in an unstoppable pace. The new 155 m2 store is located in one of the most beautiful and central places of the market. 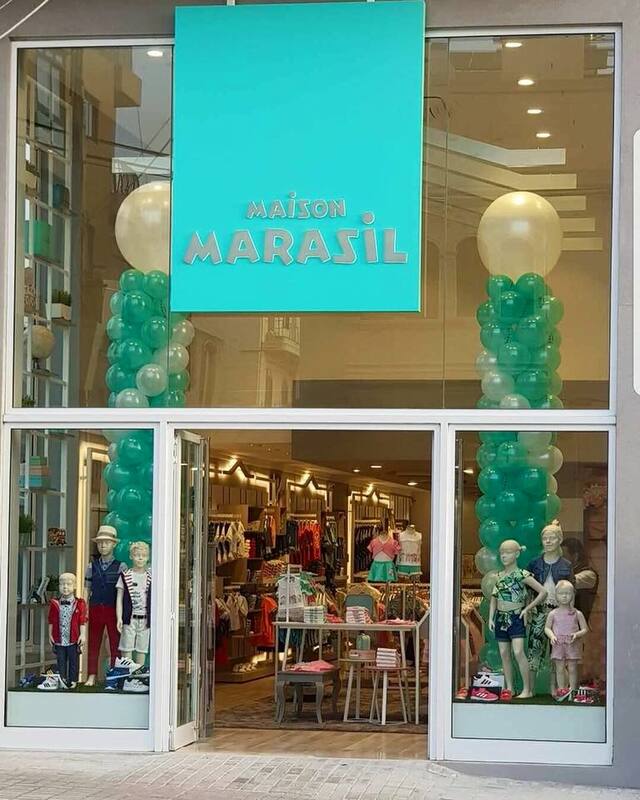 The store will have a modern and highly aesthetic venue, where consumers can discover all the favourite brands of children’s clothing Marasil, Mandarino, Sprint, PierreCardin & Kitten. Fragos S.A. has established a strong presence in the Greek and international market through the new stores in various countries such as Italy, Cyprus, Russia, United Arab Emirates, Lebanon, Panama, Ukraine and Singapore. The outgoing attitude consists one of the most important characteristics of the strategic growth of the company, whilst the clothing product itself possesses an important role that strengthens the image of the brand as well, due to its highly aesthetic looks and its exquisite quality. http://jisdistribution.com/wp-content/uploads/2018/04/31093488_10155833469524051_8942894381615022080_n.jpg 960 768 mvn167 http://jisdistribution.com/wp-content/uploads/2018/05/jislogowp-300x138.png mvn1672018-04-20 13:42:512018-04-20 13:44:05Maison Marasil is now Open ! BLU Life One X3 – New Pink Woman, open it’s first store in Malta!